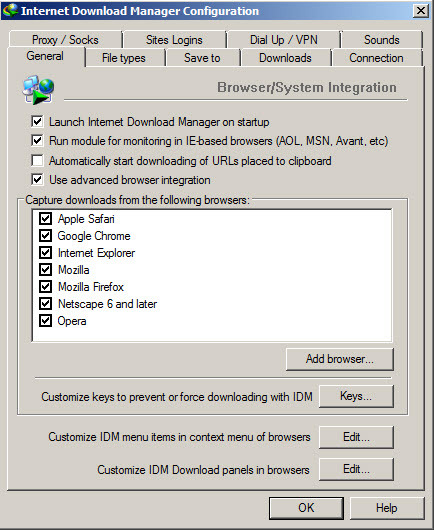 Internet Download Manager (IDM) is a popular program used to manage and increase the speed of your downloads. It is able to download any type of files, including games, programs, video, audio. It supports HTTP(S) and FTP, also you can submit login details if the download server requires it. Some features include a speed limiter to limit the bandwidth, it can be enabled to auto-detect when you want to download a file for each browser (for example, you can enable it for Firefox, but disable it for Chrome). You can set it to automatically start downloads for certain file types such as ZIP, RAR, EXE etc. You can select your antivirus program to scan automatically the downloaded files. You can configure it to play sound alerts, perform a batch download for a list of files and also includes a site grabber to download the content of a website to view it offline. 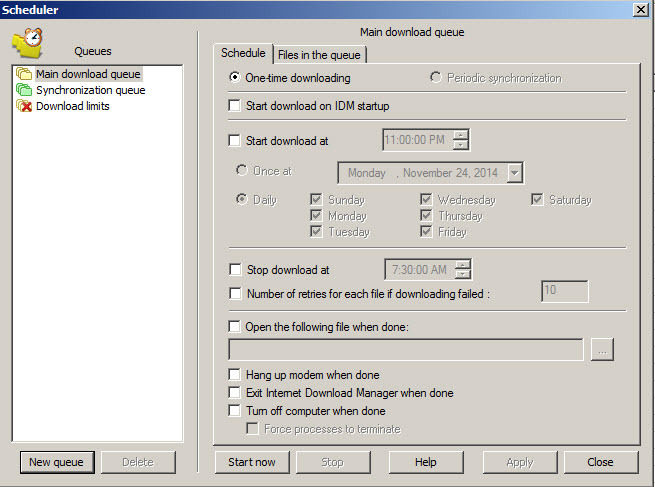 IDM supports resume and restart, it is able to restart the downloads from the remaining point in case of Internet timeout or extreme situations. You can organize downloads into categories and choose a default saving location for each category. Internet Download Manager is available for Windows 32-bit and 64-bit. Internet Download Manager is 100% clean and safe to install. You can see the test results here.